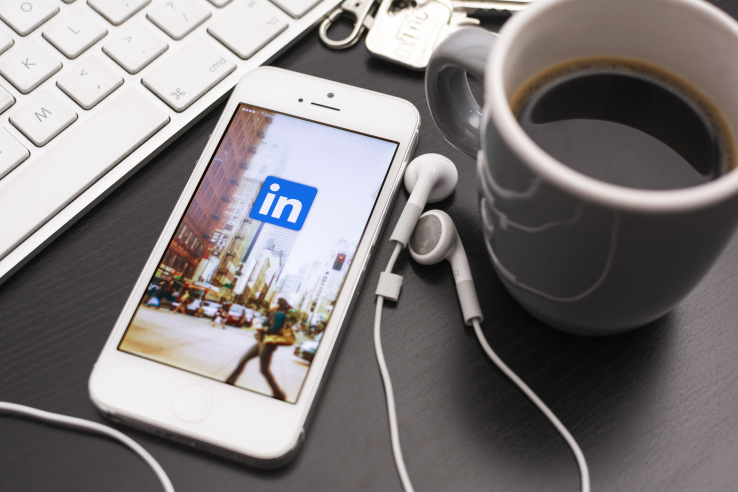 LinkedIn — the Microsoft-owned platform for those who want to network with professional contacts and advance their own careers — has been in the middle of a long-term makeover of its social tools, as it looks to drive more usage. Today comes the latest chapter in that story: the site is unveiling a new smart reply feature in its messaging app, which gives users prompts with different phrases to use while they are chatting to keep the conversation flowing. The feature is launching in English first in LinkedIn’s mobile app and on desktop. LinkedIn says that it plans to roll it out to more languages sometime in the future. And users can opt out of the smart reply feature in their settings. Smart replies may sound familiar to you for a couple of reasons. The first of these is that LinkedIn itself has been trying out a version of suggested replies since January of this year, and was actually already talking about its plans on this front months before that. The key difference in today’s news is that the company is now using more AI tools like machine learning and more sophisticated natural language processing to be able to understand the gist of a conversation and how to help keep it going. Arpit Dhariwal, a senior product manager at LinkedIn, said that the company is working on updates to smart replies that will continue to make it more personalised. The second reason why smart replies might sound familiar is that the concept of these quickly becoming the rule rather than the exception. Earlier this year, Google expanded its own version of the feature, also imaginatively named Smart Reply, which had first made its debut in its AI-infused Inbox app, into its much more ubiquitous Gmail app. There are multiple reasons behind why LinkedIn, Google and others are working on ways of making it easier and faster to reply to messages. Perhaps the biggest of these is that they help get more people using their messaging services. Messaging apps (and that includes email messaging) have become the most valuable property on smartphones these days as a hugely popular way for people to communicate to each other, encroaching on phone calls and other native phone features. LinkedIn itself realised this years ago and has been trying to improve its messaging experience ever since. But although there are some definite demons in the world of touchscreen typing, in general it can be a pain to compose messages on smartphones and tablets (and for some it’s a pain on regular keyboards, too). It’s all the more so when the messages are mundane interactions. Predictive phrases and words aim to kill those two birds with one stone, by making the most obvious/typical replies into one-tap buttons, phrases that you can use as a starting point that you can edit after inserting them, or just leave them as they are. The other area that’s interesting here is how LinkedIn is trying to do a lot more with artificial intelligence. As AI represents the new wave of technology, LinkedIn is making sure that it stays in the loop to use it where it can in products it builds. That’s not entirely new of course: AI tools like machine learning have been used by LinkedIn in its backend and select products some time now, and I’m guessing we will be seeing more of that to come. LinkedIn, the social network for the working world with over 500 million members that is now owned by Microsoft, is today taking its next step in its bid to court more users in emerging markets. The company has released an Android app for LinkedIn Lite, a pared-down version of its original LinkedIn mobile app that is developed for users in markets where data networks are slower and relatively more expensive for consumers, and phones are slower. The app is live now in India, and LinkedIn says that the plan will be to expand it to over 60 more markets in the coming weeks and months. A spokesperson confirms that there are no plans currently to create an iOS app for LinkedIn Lite, which is not that surprising: Android long ago overtook iPhone when it comes to smartphone usage in developing markets. (In India, Android accounts for 97 percent of all smartphones in use.) For those who do use iPhones in those regions, there is LinkedIn Lite for the mobile web. LinkedIn says that the app takes up only 1 MB of space on a device, reducing the data usage required to run LinkedIn by 80 percent; and it loads a page in under five seconds, “even on a 2G network.” It features the LinkedIn basics like its news feed, jobs, profile, access to your LinkedIn network, messaging, notifications, and search — but without heavy graphics and other features that might slow down page loads and eat up more of a user’s data allowance. LinkedIn Lite was first launched as a mobile app in September last year, as part of a suite of new services tailored specifically for India, one of LinkedIn’s biggest emerging markets, where it currently has 42 million users. LinkedIn’s move to build a pared-down version of its website comes as other social networks have had a lot of developing market adoption of their own “lite” versions, with revenues rise on the back of that. At one point last year, Facebook Lite was Facebook’s fastest-growing app, and this year it hit 200 million users. In April, Facebook’s “rest of world” revenues (outside of North America and Europe) were up 52 percent to $839 million compared to a year ago: you can draw a line between the growth of the Lite app and the growth of Facebook’s business abroad. Facebook is now hoping for a repeat performance with the newer Messenger Lite, an Android app that is now live in over 100 countries, offering those of Messenger’s 1.2 billion users who either have older phones, or slower networks, or perhaps both, an easier way of connecting. While LinkedIn has slowly, as part of Microsoft, been building out new tools to sharpen its focus on professionals in developed markets, it has also been building tools to increase usage of its service in emerging markets. This is part of the company’s mission to build a global “economic graph” (LinkedIn’s version of Facebook’s social graph) that links people with professions and all of the data points in between. India is a key part of that — not just because it is one of the fastest-growing, tech savvy countries, but because it is one of the biggest. When LinkedIn Lite for mobile web made its debut last year (again, first in India), the company also launched an online test to help people find job placements, and a new set of business tools to help people build better profiles for themselves and their businesses. Providing a Lite mobile app completes that loop.